The superior quality of Eden Valley Shiraz has earned the highest repute throughout the world of wine. 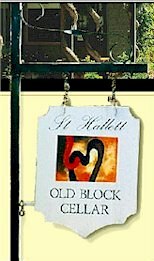 St Hallett are custodians of the finest blocks old vine Shiraz to be found anywhere on the brisk and challenging aspects of Valley Eden. Each year, the St Hallett team reserve the pick of harvest from a tally of old and distinguished sites, setting aside those parcels which can best define the lithe spice and pretty red fruit characters, seamlessness of palate and outstanding tannin structure which articulate the excellence of Eden Valley Shiraz. The refinement and sophistication of Eden Valley Shiraz are duly matched by the labour of love in nurturing vines on such difficult terroirs. Fruit is delivered to the winery, immediately crushed into fermenters and inoculated with neutral yeasts. Each block of Shiraz is separately vinified on skins for eight to ten days. A regimen of daily pumpovers, allowing the colour, flavour and tannins to be gently extracted from skins, contribute to the overall complexity of the finished wine. Upon completion of primary ferments, batches are drained, pressed and seeded with bacteria for malolactic. Components of are sent to mature several months in a selection of seasoned French and American oak barrels before the final assemblage. Vibrant plum red with purple hues. A fresh and lifted nose of dark cherry, plum and acai berry complimented by a subtle secondary aroma of spice. Flavours of dark cherries and red fruit flow across the mouth with dark blueberry fruit and white pepper. The style is all about elegance and generosity of flavours over chocolate and blackberry framework, a seamless expression of poised new world Shiraz.